Winter can really do a number on your vehicle. So, we are back with some more spring cleaning tips for your vehicle. Follow these last 6 steps on the spring cleaning checklist to get your vehicle ready to conquer the roads of spring. The electrical parts of your vehicle, especially your battery, work extra hard during the cold months of winter. Make sure to test your battery to see if it made it through winter or if it needs to be replaced. Cold weather can torment your tires and decrease your tire pressure. Make sure to check/fill the air in your tires and check the outside of your tires for any wear and tear. Don’t forget about your spare! 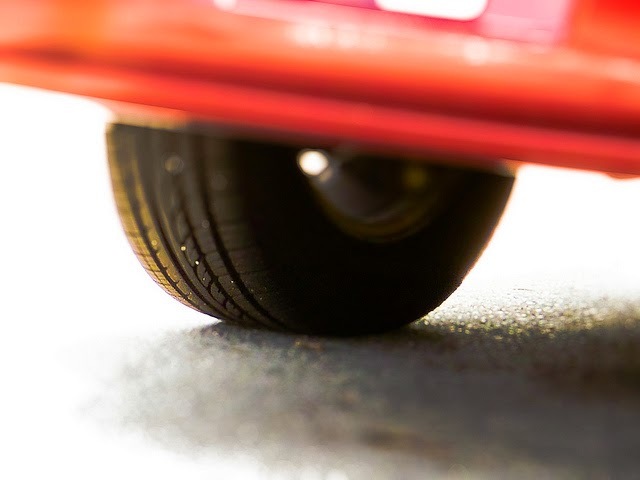 After a winter of snow and rough roads, spring is a good time to make sure your wheels are aligned properly to keep your vehicle driving correctly. Potholes and rough roads in the winter can wreak havoc on your vehicle’s suspension. Get your shocks and struts checked out for any wear and tear. Check all of your hoses and belts for cracks, blistering, and brittleness that may have formed due to winter weather. Replace if you spot any of the above problems. Make sure to get your brake system checked to spot any issues that may have arisen during the winter months. It is better to be safe than sorry. If you need help spring cleaning your vehicle, just drive in to your local Jiffy Lube of Indiana. Our certified technicians would love to provide your vehicle with the preventative maintenance it deserves and also provide you the peace of mind that you deserve.